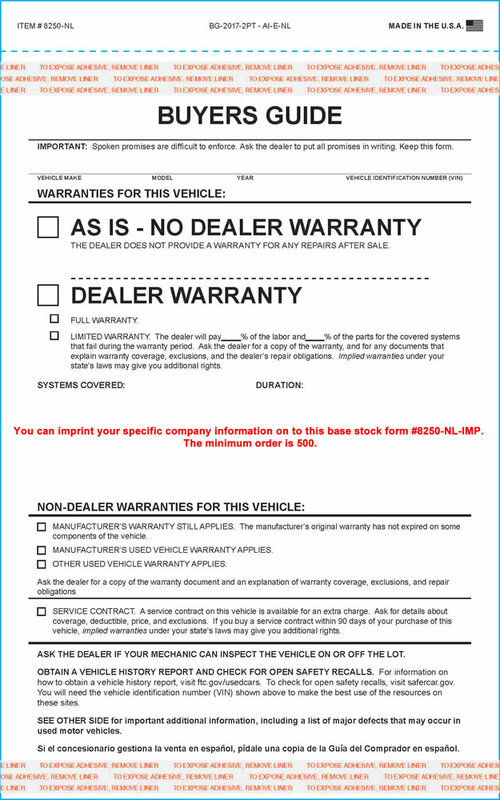 Item Size: 7-1/3" x 11-3/4"
SPECIAL NOTICE: We are currently selling the the "new" revised FTC Buyers Guide window stickers for used cars. 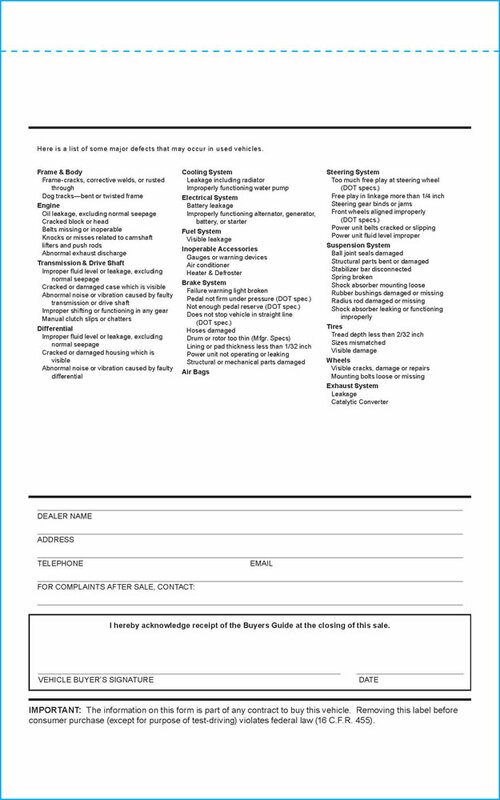 These classic Federal Used Car Buyers Guide Forms are high quality and have adhesive tape on top and bottom of first copy to adhere to the vehicle window. They also have a 2nd file copy. You can choose between the stock generic form or order these personalized to fit your specific business needs. The blank area under "Systems Covered" and "Duration" make this version of the FTC Buyers Guide much easier to customize. Available crash imprinted in Red, Blue, Black or Green ink in quantities of 500 and up. If you choose the personalized imprint option, we will contact you to assist you with the design and set-up. Please allow an extra 7 to 10 working days for production. We will email you a PDF proof for your approval before production begins. Please feel free to call us at any time with questions.